1. Use sharp hair shears or scissors. Regular scissors or the ones in your kitchen are not sharp enough to use on your natural hair. They can leave your ends jagged and cause them to split even more. 2. Trim your hair while in twists. I've tried almost every method of trimming my natural hair. The one method that worked the least was to trim my hair while it was loose and curled, because I ended up trimming too much. The best method of trimming that works for me is to trim my hair while it is in twists. This way, I am able to see exactly where the damage starts and trim above it. Because my sister's hair is longer and much more even than mine, I was able to put her hair in about 6 or 7 medium sized twists before trimming. 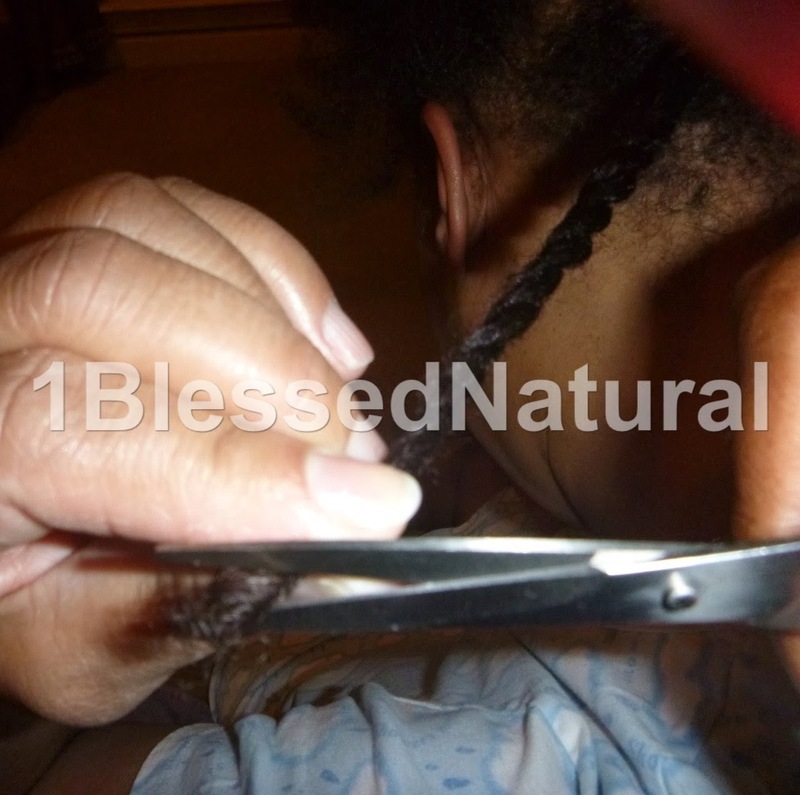 1BlessedNatural: I was applying a moisturizer, water, and coconut oil before twisting my sister's hair to trim it. 3. Moisturize or wet your hair. This will help you be able to see the damaged ends better. They are usually dry and raggedy even after applying a moisturizer. Applying a moisturizer, will also stretch your strands out for a more even cut on that particular section. I apply Cantu Creamy Hair Lotion and coconut oil on my hair before installing my mini twists for a trim. Because my sister has high porosity hair, it dries out very fast. As a result, I used both water and a Cantu Creamy Hair Lotion on her hair before trimming it. 4. Examine your ends. Do not cut aimlessly! 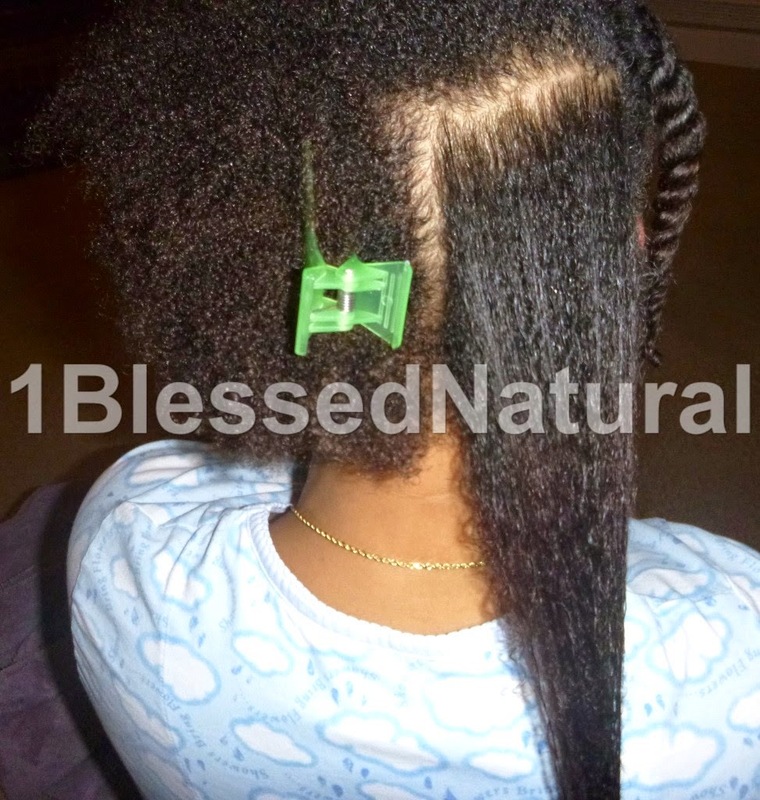 My sister figured if she cut 2 inches of her natural hair, she would be sure to get all the damaged ends. The problem with that theory is that she didn't need to cut as much as she did. I ended up trimming a 1/2 inch or less from each of her twists. Be sure to thoroughly examine your ends before cutting. If you cannot see them up close, try using a magnifying glass on them to identify the damaged sections. You can also use your thumb and index finger and rub them from the middle of your twists to the ends to see where they feel rough and damaged. 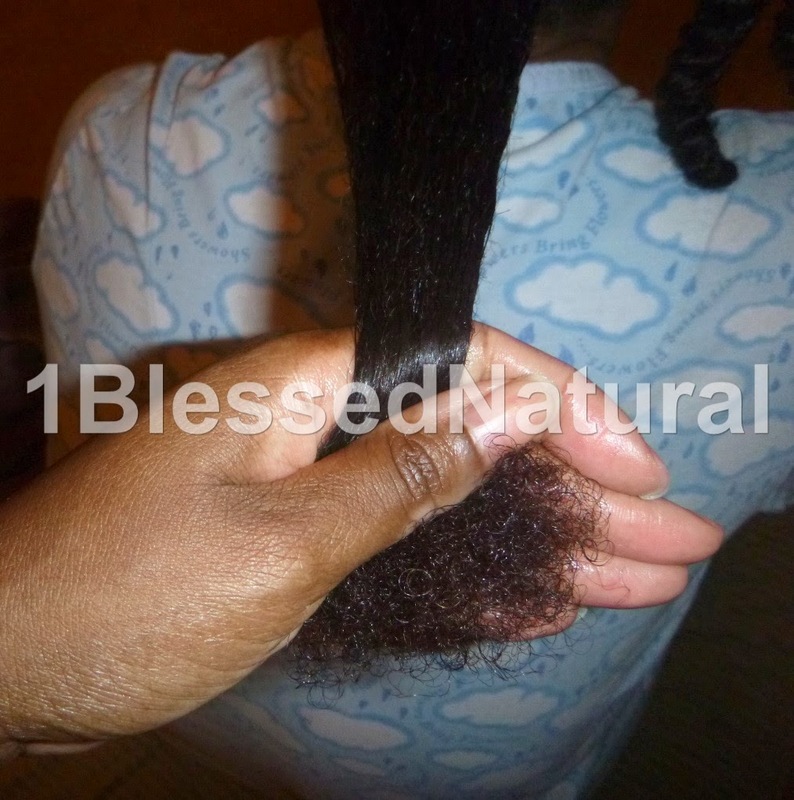 1BlessedNatural: If I was to trim my sister's hair in this state, I would probably cut too much. 6. Trim as needed. When I first went natural, I searched for articles that would tell me exactly when I needed to trim my hair. There's really no way for anyone to give me that information. It depends on how much your hair has been manipulated. It also depends on how much it has been exposed to the elements. One indication that I need to trim my ends is when my ends get tangled a lot. Another sign is when they do not curl up after twisting my hair.